Winter Park, FL (September 19, 2016) On October 20, Writer's Block Bookstore will host YA Author Jay Asher, most notable for his book “Thirteen Reasons Why.” The event will be OCTOBER 20 from 6PM – 8PM and is attended for ages 12 and up. 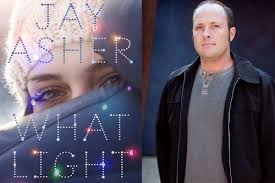 Jay Asher will be promoting his newest book “What Light” There will be a book signing as well as refreshments. Jay Asher has toured the country, meeting and connecting with teens in literally all 50 states. He and his previous book, “Thirteen Reasons Why” have impacted and changed the lives of countless young adults. Jay Asher‘s debut YA novel, Thirteen Reasons Why, has appeared regularly on the New York Times bestsellers list for the past 9 years. It has sold over 2.5 million copies in the US alone and is currently in production to be a 13-part series on Netflix. In Asher’s newest book, What Light he continues to focus on themes of hope and forgiveness. 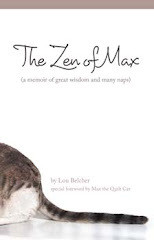 He says “I wrote this book for teens who have seen dark days, but hold on to the hope that things will get better.” What Light weaves together a thought provoking and emotionally uplifting narrative on self-love. What Light focuses on Sierra, who’s family runs a Christmas tree farm in Oregon. It’s a bucolic setting for a girl to grow up in, except that every year, they pack up and move to California to set up their Christmas tree lot for the season. So Sierra lives two lives: her life in Oregon and her life at Christmas. And leaving one always means missing the other.